What separates Icecycle Creamery from the rest? 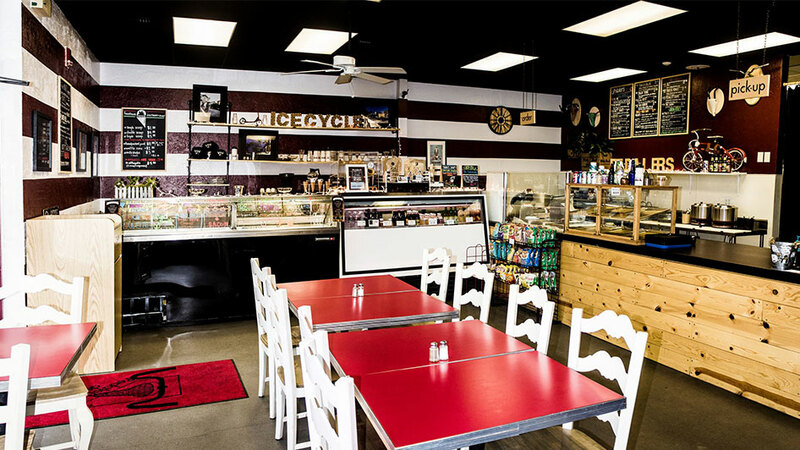 Every single flavor featured in their shop is handcrafted from scratch, right here in Reno. They use local milk from Sandhill Dairy, and a basic recipe: milk, cream, sugar, agar, and whatever flavor they’re feeling that day. As a result, you are provided with a classic, one-of-a-kind frozen treat. Because of minimal additives, you won’t find anything like it in stores. They use less sugar because they want their unique flavor combinations to shine, and not overwhelm your palates with excess sugar! Come on in and give Icecycle Creamery a try, they offer 16 flavors (and sometimes more!) that rotate on a small-batch basis, and try to keep flavors in tune with the seasons, using fruits you might find that time of year for example. Icecycle Creamery: Keep it Local, Keep it Awesome, Keep it RENO! Check out their second location!